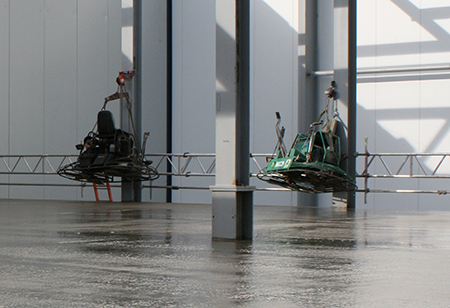 DK Floors Ltd are a specialist dedicated to the design and/or installation of concrete flooring. Our expertise includes slabs that are ground bearing; structural; structural on piles or composite floors on metal decking or precast beams. We are experienced in the use of a full range of reinforcement materials including: – Mesh Fabric; Steel Fibres or Synthetic Fibres. Most of our clients bring us repeat business and are comfortable with the knowledge that all of our team are reliable, flexible, helpful, professional and consistent. We provide in depth experience and are pleased to work towards achieving satisfaction from a contented end user. As a specialised sub-contractor we carry appropriate insurance cover, have full CITB registration and a fully CSCS compliant team. We would welcome the opportunity to include you as a potential client and to discuss possible options for any of your tender requirements, labour and plant only, we also offer full design. We have the skills, expert knowledge and experience to cater for any number of contracts, simply call us on 01536 484192 to discuss your requirements. Concrete Flooring Contractors Northamptonshire, external paving Northamptonshire, Internal Concrete Flooring Northamptonshire, DK Floors Agricultural Flooring Northamptonshire, DK Floors Northants. Copyright © 2019 DK Floors Ltd. All rights reserved.